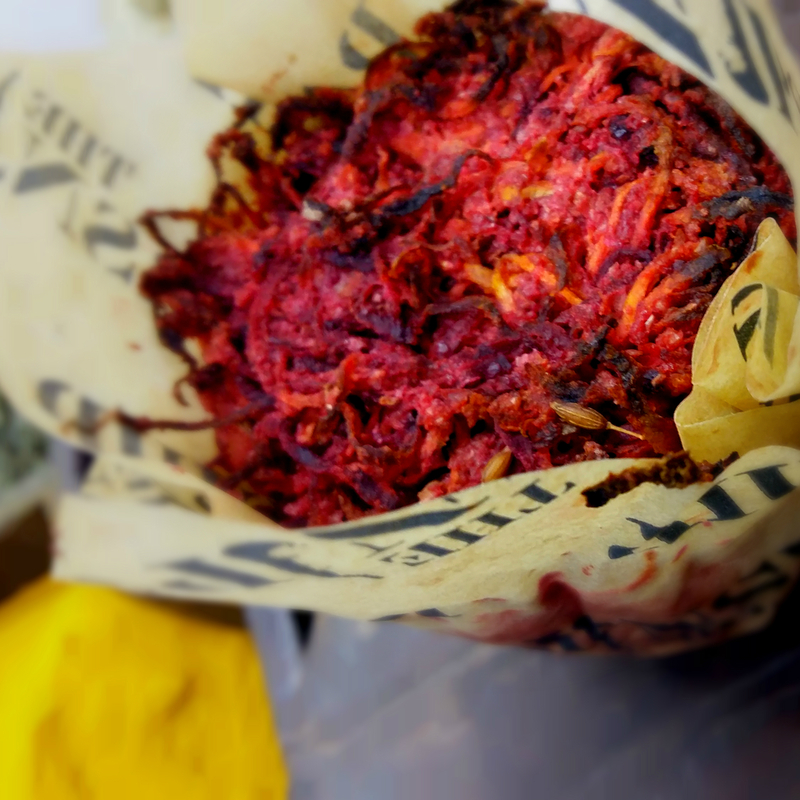 An explosion of Beetroot, Carrot & Cumin Seeds. Lob a bomb in the oven for 20 minutes and then serve with lashings of horseradish…you can even press them into burgers and delight as they darken on the outside and stay pink on the inside! Reheat for 15-20 minutes at 180°C or press gently into a burger shape & pan-fry for a few of minutes on each side. Sold in a quantity of 6 however if you prefer a mix of flavours see the pick and mix selection. The Parsnipship make their products with fresh ingredients by hand and to order. So that they can plan their cooking schedule and so that you can get the products as fresh as possible they ship all orders received by Monday midday on Thursday for Friday delivery by courier. So orders received after the lunchtime cut-off point on a Monday will be delivered on the Friday of the following week. Wheat gluten. The maker has taken all reasonable steps to ensure that this information is accurate. However, the maker cannot guarantee that the product is '100% free from' that component because of the risk of unexpected cross-contamination.